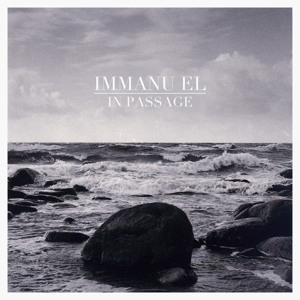 Immanu El released their 3rd album, ‘In Passage‘, in 2011. While this isn’t exactly a “new” album at this point, I still felt like they needed some exposure and are worthy of it. From Sweden, this 5-piece band mainly revolves around piano, guitar, bass, and Claes Strängberg’s falsetto. Per Strängberg’s guitar work reminds me of Explosions in the Sky: relatively clean, usually articulated. Claes Strängberg’s vocals remind me of Jónsi’s. I actually prefer Claes’s tone over Jónsi’s at times. The first track, “Skagerak” shines. It opens softly, giving way to solid piano chords and faint off-set drumming in the background. Claes Strängberg’s voice, slightly over-dubbed, hauntingly leads into a stronger drum beat. Throughout Skagerak, a strong stum beat is ever-present and drives the song through the slower verses and the exploding chorus. The tenderness with which Strängberg sings when combined with the high-range guitars create an exceptionally motivating and ethereal piece. While not necessarily a bad thing, some of Immanu El’s works can be a bit depressing. And yet Skagerak makes me tremendously happy. When the chorus hits, it always makes me grin. Skagerak is not only motivational, it is also intelligent in its execution. The e-bow or keyboard around 5:10 is genius; it adds the perfect amount of contrast and color. Overall, it makes a wonderful first track and introduction to ‘In Passage’: tender, busy enough to be engaging, and dynamic. Now, on to “Conquistador’s” very nice opening. The reverbed guitar plays around while the clean guitar takes the foreground. This intro is the more successful part of this song. However, this song takes a while to develop. The guitar—especially the reverbed one—is still fantastic, but seems a bit stale by 3:50 when the song shifts. Again, the guitar hits some very nice moments, but this shift still doesn’t seem like enough to make this song memorable. “The Threshold” is also a “nice” track in the sense that there isn’t anything terribly wrong about it. However, there is also not much which is spectacular about it either. I do dislike the violins though. They make the song seem whiney at times. Instead of going right to their next note, they tend to slide up to it as if a guitar were playing with a slide. I feel that they would be less whiney if they did not do this. However, this may just be personal taste. “Comforting Dawn’s” introduction presents itself as promising. It has a sound effect which reminds me of a blend of Sigur Rós’s Starálfur and Travis’s 12th Memory. As soon as the end of the intro ends at about 1:10, and Strängberg hits the upper range of his falsetto, I realized that this song would be better than the couple preceding it. Both the wispy background noises, and the off-beat piano take turns. The noises add tenderness while the piano contrasts with strength. Eventually the duel resolves into a wall of sound with twinkling, guitar peeking out. And of course, all this complete with the same godly falsetto which carries “Comforting Dawn” to its conclusion. “Into Waters” is another “nice” track, though I dislike the marching feel which is really present from 1:30-2:30. I do feel the song improves noticeably at 3:40, with the breakdown at 4:15 being very well thought out. Have I mentioned that I like Strängberg’s vocals? The intro to “To An Ocean” is simply beautiful. The way he pronounces “ocean” carries so much emotion and power. However, the rest of the song is unspectacular once again. And yet, I feel that if the first half of the album were switched with the second half, I would still like the first part of the album. This hunch lies in what I see as reoccurring similarities in ‘In Passage’, and to some degree, in Immanu El’s previous works. I believe artists should have their “sound”, but I feel myself getting bored with Immanu El at times. By the time I reach the end of this album, I am tired. While “To An Ocean”, the next track (“While I’m Reaching For You”), and pretty much every Immanu El song is gorgeous on its own, together they lose some of their impact. Even so, the biggest problem I see with Immanu El is how buried Strängberg’s vocals are. In almost every case, they are overdubbed or hidden by a wall of instrumentation. For how amazing it is, I wish the levels were higher and his voice, only his without effects. Luckily, Immanu El delivers, at least partially, for their last track, “On Wide Shoulders”. It starts with just piano and vocals. Clear, pure, raw vocals reaching high into the clouds. The drums come in and his vocals return, this time overdubbed. But somehow, it’s alright. It sets up a nice contrast to the beginning and I no longer feel suffocated by the thickness of his altered vocals like I did in the song before. At around 2:50 the guitar rings like a bell. Towards 4:10 the song gets more momentum as it reaches its close. Eventually, after a finale (at least for Immanu El), the album closes on a positive note. ‘In Passage’ seems to like being difficult. While almost every song is very good—enhanced by the wonderful guitar and beautiful vocals, the album as a whole did not entirely impress me. Apart from a few key tracks, nothing stands out. It all blends together into one mush of guitar/piano intros and over-dubbed vocals which smothers what is arguable one of Immanu El’s biggest assets: Claes Strängberg’s voice. ‘In Passage‘ is good. It just isn’t memorable. Even when compared to other works by Immanu El, they all seem to carry an over-arching sound, which is too similar. While, I agree that bands have a certain sound, I want to see Immanu El doing more experimentation. And yet, almost every track is still beautiful. I don’t recommend this album as a holistic experience—it loses it’s impact. I do recommend it for individual listening, though. I usually avoid cherry-picking from albums on a song-by-song basis, but for ‘In Passage’, I make the exception. I would give this album a “Good”, or an 87%.